Director Patty Jenkins‘ sequel Wonder Woman 1984, starring Gal Gadot is easily one of the most anticipated films of next year. The sequel is apparently so massive that it had to be pushed back from its November 2019 release all the way to summer 2020. But it is never too early to talk about the inevitable third installment of the franchise. Given its success and the worldwide appeal the character has, it would be a huge surprise if there isn’t a Wonder Woman 3. And Jenkins isn’t exactly shy to talk about what we could see in it. Nor is she afraid to talk about fan requests for her to direct a Justice League film. More on all of that below. It’s 1984, the height of the Cold War. And it’s going to be up to Wonder Woman (Gal Gadot) to defuse a hostile situation. But it looks like it won’t be easy for her to accomplish that task. Especially when facing off against someone like Cheetah (Kristen Wiig). 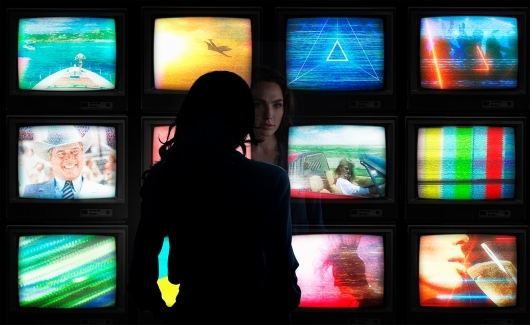 We’ve known that Wonder Woman 1984 will take place during the ’80s, with the Cold War having a role in the film. But we will also see another familiar Wonder Woman villain. Wiig’s Cheetah looks to be one of the more developed DCEU villains. That’s because the timid archaeologist is about to be cursed with dark powers that turns her into one of Diana’s greatest foes. And now the first image of Wiig in the film has been released, which you can see below. The DCEU may be in complete disarray, but the films that are currently in development leave us with a slight bit of hope that it could work out for the superhero universe. But since this is the DCEU, chances are it’s going to force the studio to look back at the drawing board. Unless you are the highly successful Wonder Woman. 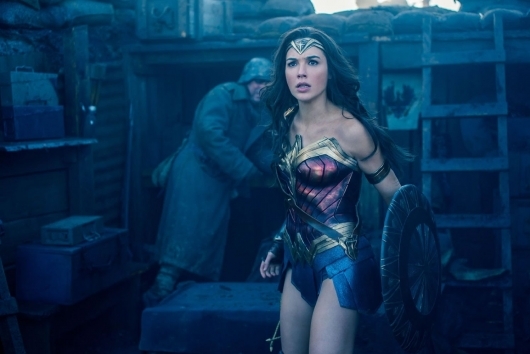 Since the film has achieved critical and commercial success, the studio has now focused their efforts on getting a Wonder Woman 2 off the ground. Though it is still in the early stages of development, the film is beginning to start casting its new characters. You know, since it is rumored to take place in the ’80s and it’s not likely that anyone from the first film, aside from the title character, has survived. And it looks like they have just cast one of their new villains. According to new reports, Kristen Wiig is currently in talks to play Cheetah. More on the story below. The fallout of the sexual harassment allegations continues. As more and more of the Hollywood elite continue to be outed, projects have either hit a standstill or are moving on without the accused. Some people are even being replaced. The fallout is now making its way to production companies. Case in point, Wonder Woman‘s Gal Gadot is reportedly holding out on signing on to return for a sequel unless the production company led by Brett Ratner won’t be involved in the film. Things are shaping up well for Wonder Woman 2. 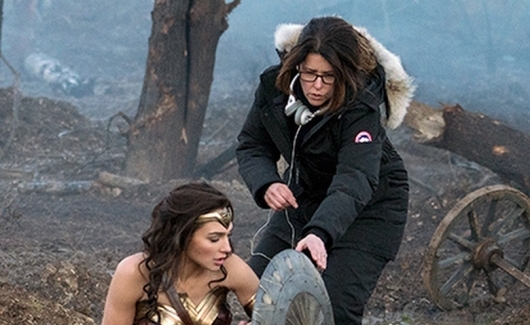 After a long period of negotiating, Warner Bros. announced Patty Jenkins would return to direct the highly anticipated sequel, with a massive pay increase that would make her one of the highest paid female filmmakers in the industry. She will also be co-writing the script with Geoff Johns. Now the two will be joined by an “Expendable” writer. But it’s not that kind of expendable. New reports confirm that The Expendables co-writer Dave Callaham will be joining the team. More on the story below. 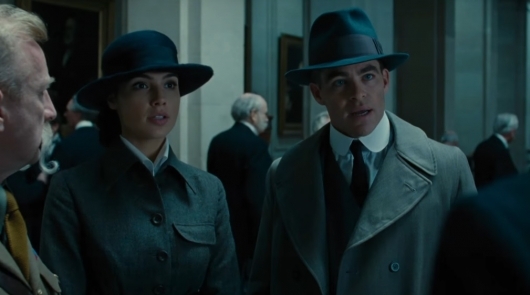 Of course, Wonder Woman 2 is happening. You don’t let a film that has made $759 million worldwide go without a sequel. Well, now Wonder Woman 2 finally has a release date. Warner Bros has scheduled the film to hit theaters on December 13, 2019. The only problem is, Patty Jenkins isn’t officially signed on to direct again. More on the story below. It’s been only a few weeks since Wonder Woman was released, and the film continues to do wonderfully at the box office. However, Patty Jenkins isn’t signed on for a sequel. But if we have any hope of her making a return, it’s this. There is a new report that says Jenkins is on board to co-write the film with Geoff Johns. More on the story below.